Think about if from a dog’s perspective, the world is coming to an end when the sky is booming! Thunderstorms usually give warnings to dogs with clouds, change in barometric pressure and sometimes rain. But fireworks come out of the blue for a dog. It only takes one time for your dog to get scared and then keep that fear for their lives every time they hear a loud noise. That’s what a traumatic event can do to your dog. 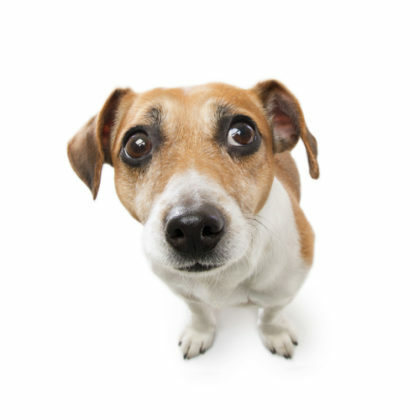 Mild cases of noise anxiety are panting, trembling, paw licking, clinging to their owner, hiding, barking, and yawning. Severe cases are much scarier, they can include running away in fear, acting hysterical, pacing, seizures, trying to escape. This is why my #1 recommendation is to keep all of your pets home, safe and inside, I call it “lock down”. Close up those dog doors; don’t let your dog outside. Every year on the 4th of July there are thousands lost dogs around the country because the dog “was fine” then one big boom and the dog starts running. Dogs have been found 20 miles away because they are so freaked out they just keep running. Some are never found. Apparently July 5th is one of the busiest days for shelters all over the US. This applies for RV travel also. All of the steps below pertain to leaving your dog in an RV if that is where you live or will be traveling on the 4th. Run your air conditioner, fans and music. It is a bit risky to leave your dog alone in the RV, because if he/she has a panic attack and associates the fear to the RV, now you have a pet who is afraid to travel in that RV. My advice is to have one human stay with the pets. Please, please do not take your dog to “go see” the fireworks. This is a human only activity, not for any pets. It’s too loud, too overwhelming and unkind to bring your pet along. Some dogs are candidates for 4th of July parades, but not fireworks! It is a myth that comforting fear will reinforce the fear. Patricia McConnell PhD writes a great article explaining how you can’t reinforce fear. We comfort our own specie when they are afraid. For example, why do doctor’s offices have candy and toys for the kids, to make a positive association with the office, it’s the same for dogs. We want to create a positive association with fireworks and thunder. So even if your dog is not scared of loud noises, keep them home safe with music and a food stuffed toy, it’s not worth the risk to have them gain a new fear. 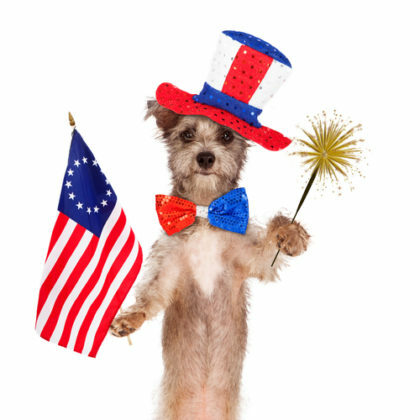 Tips for success for Pet Safety this July 4th. Take your dog out for a big walk/run/outing the morning of the 4th. A tired dog will be less likely to get anxious. Make sure all of your pets have their collars on with current ID tag. If your dog has a microchip, check to see that all of the info is correct online. Keep your dog home and inside. Think “lockdown” for all pets. 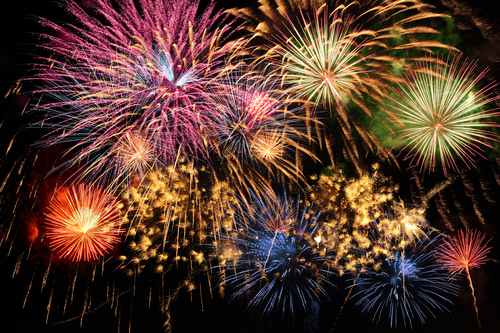 Close your doors, windows and blinds for the time that the fireworks are going off. Dogs and cats have been known to run through screen doors/windows. Get all of your fans turned on. Nothing like a box fan to create white noise, or several box fans! A white noise machine can be very helpful also. Play soothing music like classical or elevator music; see resources below for special music for pets. If your dog is very afraid, purchase a ThunderShirt which creates constant pressure, similar to swaddling an infant. Start practicing days before, putting the shirt on or a few minutes, making it fun by delivering tasty treats. Take it off and try again a few hours later. On the night of the 4th, put the ThunderShirt on before the fireworks start, keep the energy positive, up, fun. There are many calming treats on the market, but one of my favorites is Anxiety TFLN by Homeopet. It’s a homeopathic remedy for anxiety from loud noises. 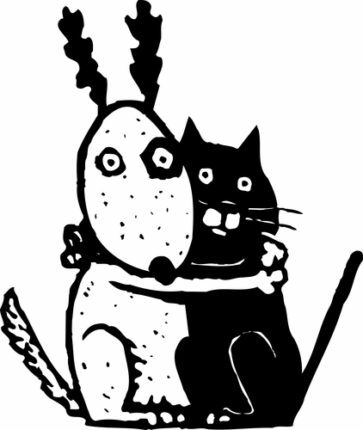 Your locally owned Pet Supply Store should have some herbal and natural options. Or purchase at Amazon. It’s generally NOT a good idea to confine your dog to a crate. Let your dog find the place that they want to be in your house. Also, do not leave your dog in a car, they can easily associate the scary incident to the car and now you have a dog who is afraid of the car. Bottom line, don’t “trap” your dog, they can hurt themselves and destroy property if they have a panic attack. If your dog loves their crate, leave the door open, and cover with a blanket. Do not give your dog the medicine acepromazine, read this article by Dr. Marty Becker, DVM on why. I’m scared Mom, please stay with me. 1. Follow all the steps above to make your house a “zen place” with a bunch of white noise. 2. If you know where your dog likes to seek comfort in a thunderstorm, set up a comfy place for the dog there, could be the bathroom, a closet, a basement room or under a bed. Let your pets choose. 3. Have some very tasty treats ready to dispense, like steak, roasted chicken, cheese or your dog’s most favorite treat. If your dog is not taking these high value treats, then you know he/she is really frightened. At this point, just do your best to soothe your pet. 5. Keep the house on lock down until you are certain it is quiet outside. Your pets might be pretty worked up, so don’t let them out into the world until you are sure they are calm enough to do so. Keep your pets safe and Happy Fourth of July! Thanks for reading! Juliet Whitfield, CPDT-KA Certified Professional Dog Trainer – Knowledge Assessed. Resource for Calming Music for your dog for any times that your dog is anxious or left alone. Through a Dogs Ear music can be purchased in a CD, MP3 and more. Pet Tunes Bluetooth speaker is a pre-loaded with special frequency modulated music clinically tested and proven to reduce stress and calm pet anxiety. It is the size of a 2″ square and battery operated, so you can place this tiny box with calming music anywhere, including under the bed!